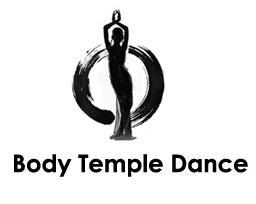 Acushla founded Body Temple Dance in 2005 and is one of Adelaide’s longest running contemporary belly dance teachers offering a range of tribal fusion styles and professional belly dance shows. Acushla’s passion and dedication has led her to regularly perform and teach in Adelaide and around Australia. She has provided dance programs, teacher training courses, instructional DVD’s and intensive technical and creative workshops for many years, while she constantly expands her own knowledge and experience in dance and body conditioning practices. Acushla has been a professional belly dance performer throughout Adelaide and Australia for over 13 years and is passionate about creating new and exciting shows that add skill, joy, mystique and unique entertainment at a variety of events. She recently featured in the music video “Pyramids” Produced by Sony and Spinning Records. For over 15 years I have taught hundreds of women the art of tribal belly dance, and what I feel most passionate about is inspiring women to feel empowered and beautiful in their bodies from the inside out! I believe that with the right mind set, balanced with consistent inspired action taking is the key to feeling great and achieving your goals. There was a difficult decision I had to make many years ago. I just completed my advanced diploma for Traditional Chinese Medicine, had also started teaching belly dance classes and then fell pregnant! It soon became clear that I would only have the capacity to nurture and develop one area of my career. While practicing as an acupuncturist was a reliable source of income, Belly dance awakened something within me that was so creative and powerful that I chose the unknown and unpredictable path of Belly dance, and i haven’t looked back! My other “job/passion” is a jewellery designer, so in between being a mum, teaching, performing, practicing yoga and dance…i create unique, powerful crystal jewellery with an intention to inspire and empower those who wear it. You an view my work HERE! I started belly dance 15 years ago and was first formally introduced to this ancient art form at the age of 7 when I went to classes with my mum and could instantly do a ‘belly roll’! Since rediscovering belly dance in my early 20’s, I have been fortunate to travel all over Australia, performing and training with other amazing dancers. Suhaila Salimpour whom finally gave me the clarity on muscular isolations, timing and a structured way of viewing this dance form. Over the years i have also attended training and intensive workshops with International artists Rachel Brice, Illan Riviere, Amy Sigil, Matt Jacob, Mardi Love and many others!